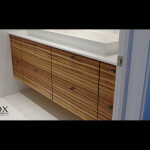 This multi-drawer vanity is covered with a zebrawood veneer. All of the drawers use Blum undermount drawer slides with a soft-close feature and the larger drawers are constructed to accommodate the plumbing for the vessel sink. 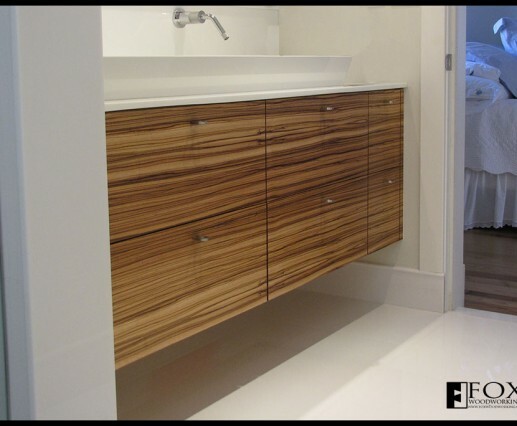 This zebrawood vanity is mounted to the back and side walls to create the open look beneath the cabinet. 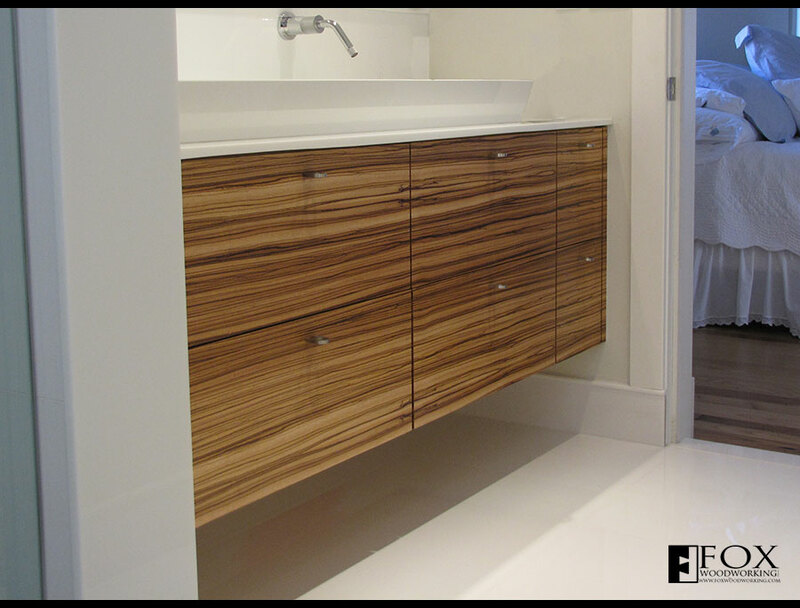 During the veneering process, care was taken to assure that all of the grain lines align perfectly. This creates a unified look, giving the vanity a complete and harmonious appearance.